Call center coaching is one service Scottsdale and Phoenix, Arizona based company Sage Advantage offers their clients. Call centers are an essential part of your company as they speak with customers when the customer is both upset and happy. Depending on how your call center representative handles a high pressure call, your company could lose a valued customer or keep one. By using Sage Advantage’s call center coaching services, you’ll see many benefits. First, our coaching offers instruction and resources to help ensure your representatives are providing the best customer service possible. This also helps them improve and develop new skills. Call center coaching can also lead to increased sales and better customer service. The more coaching and skill building a representative receives, the better they’ll perform. Sales techniques such as cross selling and up selling require skill, and coaching and training can help your representatives develop and improve your skills. With call center coaching, you’ll not only see your sales improve, but your customers will experience higher quality customer service when they call in. Lastly, your customer retention will improve. Customers who receive excellent customer service and feel their concerns and needs are heard and addressed are more apt to stick with that company. However, if they receive poor customer service, many customers will quickly go elsewhere. 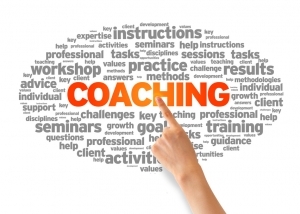 Call center coaching can help ensure your customers are satisfied with their service. You may be wondering how Sage Advantage’s call center coaching works. We perform group performance reviews to identify high and low performers and identify any areas where training is needed. Then, we review these findings with your managers and provide coaching on how to address these issues. Next, we’ll make clear cut recommendations to help improve agent’s performances and how to help them develop the skills they need. We’ll also lay out clear and measurable goals managers can use to track development and representatives can use to show improvement. Scottsdale and Phoenix, Arizona based company Sage Advantage offers a variety of tools and services to ensure your call center is running smoothly while also providing quality customer service. Call center coaching with Sage Advantage allows us to become an extension of your quality assurance team and provide recommendations to help your representatives, and even managers, improve their skills. To learn more about the tools we or Evaluate Quality offers, or to schedule a free demonstration, be sure to contact us today. We look forward to working with you.